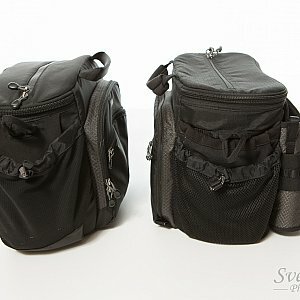 In situations where you don't need to carry a lot of gear with you, one would avoid to choose a large backpack. Instead using a small bag is a good idea. 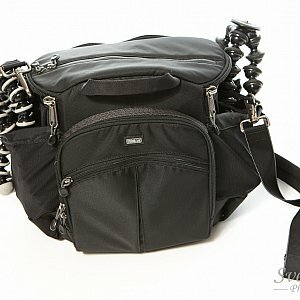 Especially if you can use it as a regular shoulder bag or a belt bag. 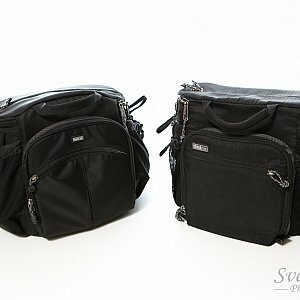 There are several bags coming from Think Tank Photo which would fit. 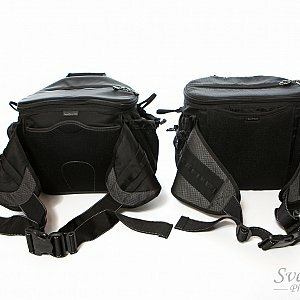 The have a series of convertible camera bags. The largest one is bag called Speed Racer. I use the first version since many years now and added version 2.0 last year. Actually I wanted to replace the old version with the new one but in the end I kept both. 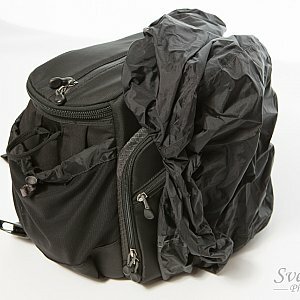 The most important feature of such a bag is the ability to store your gear. 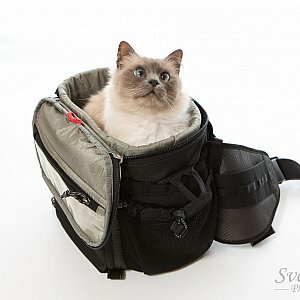 Without any doubt this bag is capable doing this. 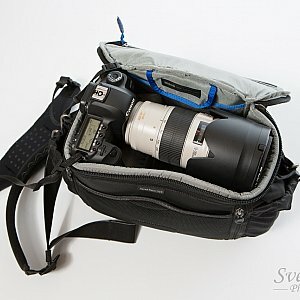 I can add a 5D+24-70 f2.8 and a 5D+70-200 f2.8 without any problems. You can store them horizontally or vertically. Of cause you need to remove the lens shade from the 70-200. There are a lot of dividers in the box so you can configure the inner compartment like you need it. 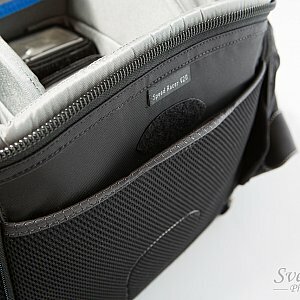 There is a separate pocket build in which can hold my Samsung Galaxy Note 10.1 as well. You need to push it in carefully but it fits. 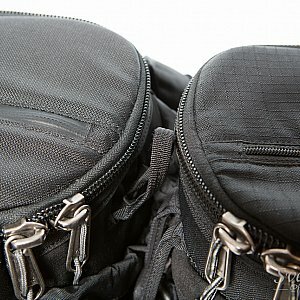 The top flap contains a zip so you can access the main compartment without actually opening it. Not sure what this is for. I never used it. 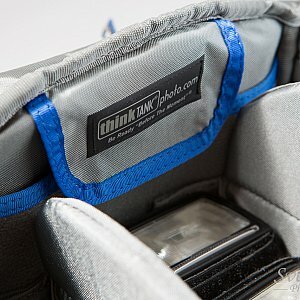 In addition you have a small mesh pocket in it where you can store your business cards. Unfortunately it is a little bit too small to hold the 82mm lens cap of the Canon 24-70 2.8 L II. The back of the bag features a pocket where you can store a notebook (the analog one), your flight ticket, passport or thinks like this. 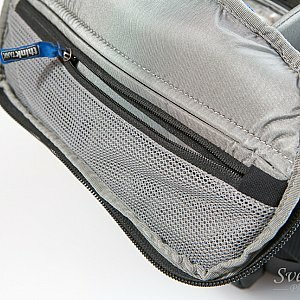 On each side you can find a mesh pocket where you can store additional stuff. 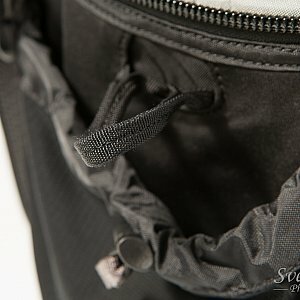 The front provides another two pockets where one can add gear. 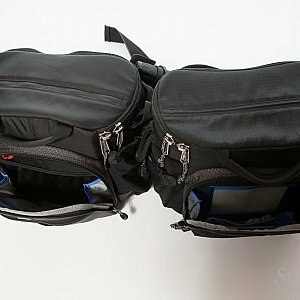 The build in pockets and dividers in the larger pocket allow to store your things well sorted. 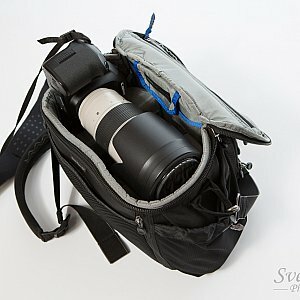 It can also take two Canon 600EX while the smaller one still holds some spare batteries. 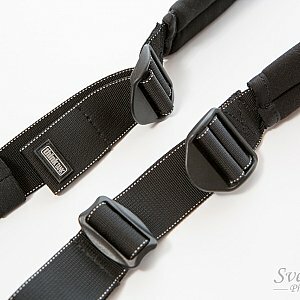 The new should should strap is equipped with an anti slip coating and is very comfortable. It is easy to adjust. If you don't need it you can simply detach it. 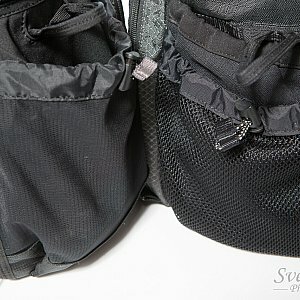 On the left and right side of the bag there are two small pockets for the belt straps. 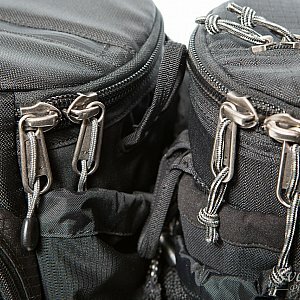 Just stuff them into those pocket if you just need a shoulder bag. 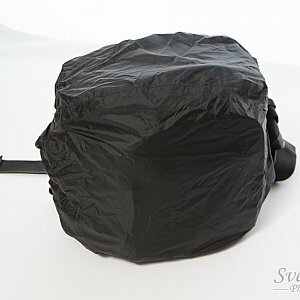 While the build material and the zips can handle a little bit of rain very well you get an additional rain cover. 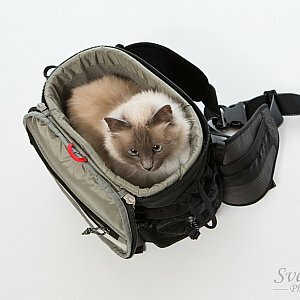 Basically every Think Tank Photo bag or back pack I own has them. The new version is no revolution. It is basically the same as the old one but features a lot of small improvements. 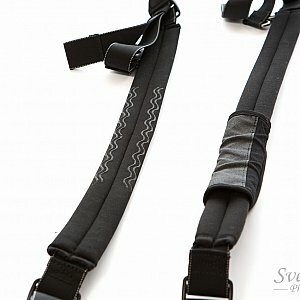 I love the way you can hide the belt straps with the new V2.0 but I liked the rigid belt strap of V1.0 more. For my taste the new ones are not sturdy enough but otherwise you would not be able to hide them like you can now. 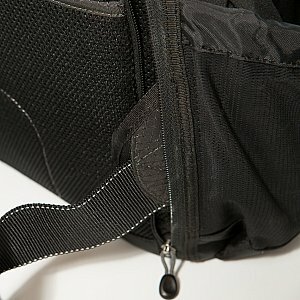 Of cause the new belt strap compartment steals the additional mesh pocket which V1.0 offers on the left and right side. The small differences of the two versions of the Speed Racer to not justify the amount of money an update costs. 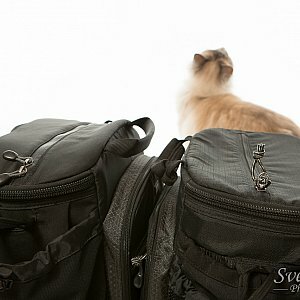 Both bags are awesome. I like the new one mainly because it looks a more modern and the straps are very easy to adjust. I highly recommend the Speed Racer. 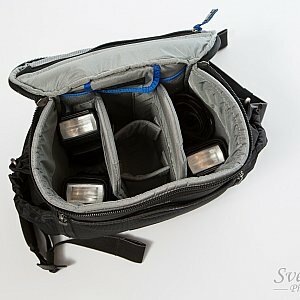 Especially the ability to transform this bag from a shoulder bag into a belt pack is very welcome since this kind of bag will usually contain some weight.